Confident and built to back it up, Men's M-Series denim is expertly constructed with a focus on quality, craftsmanship, and style. Select styles feature added stretch for a fit with flex. 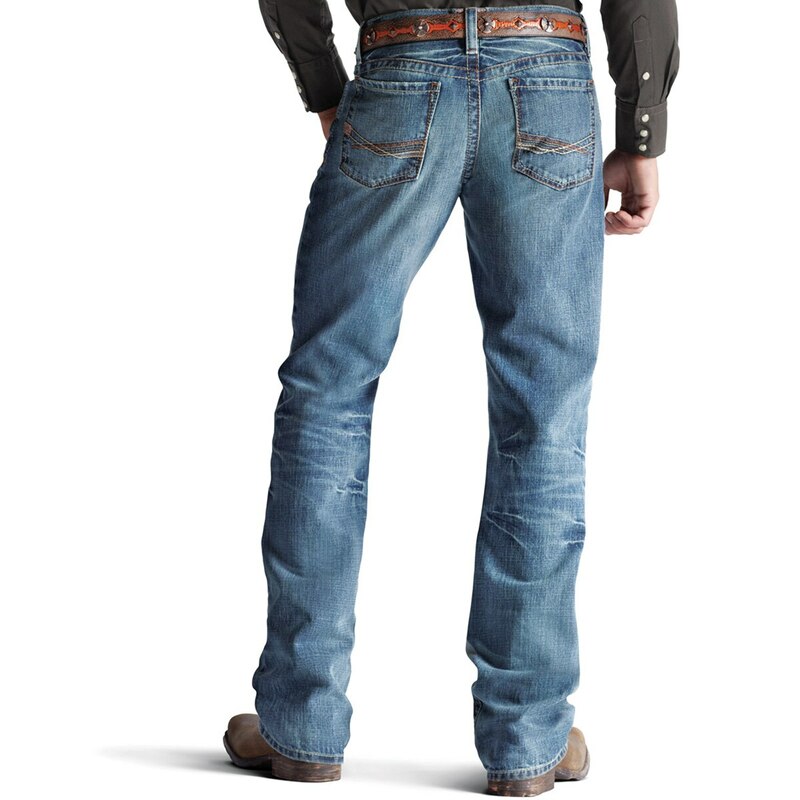 Working, riding, or playing, these jeans that take it on - styled to go anywhere, anytime. 100% cotton. 13.25 oz denim. The Cinch Silver Label is back this Fall with an all new dark stonewash. 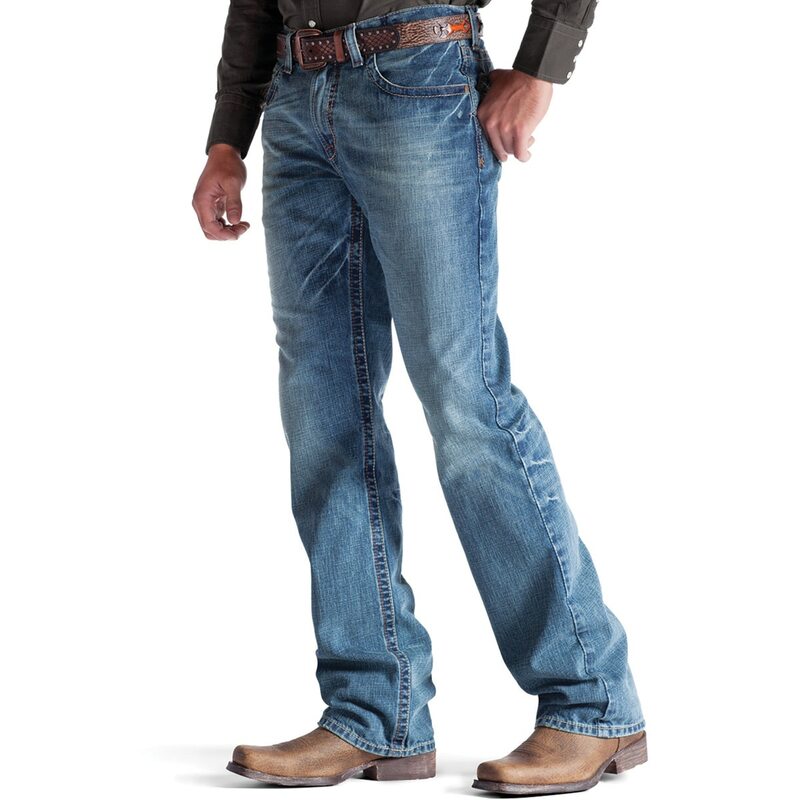 Performance Denim joined with hand sanding, whisers, cheverns and grinding provide a fashion forward finish to this highly esteemed fit. 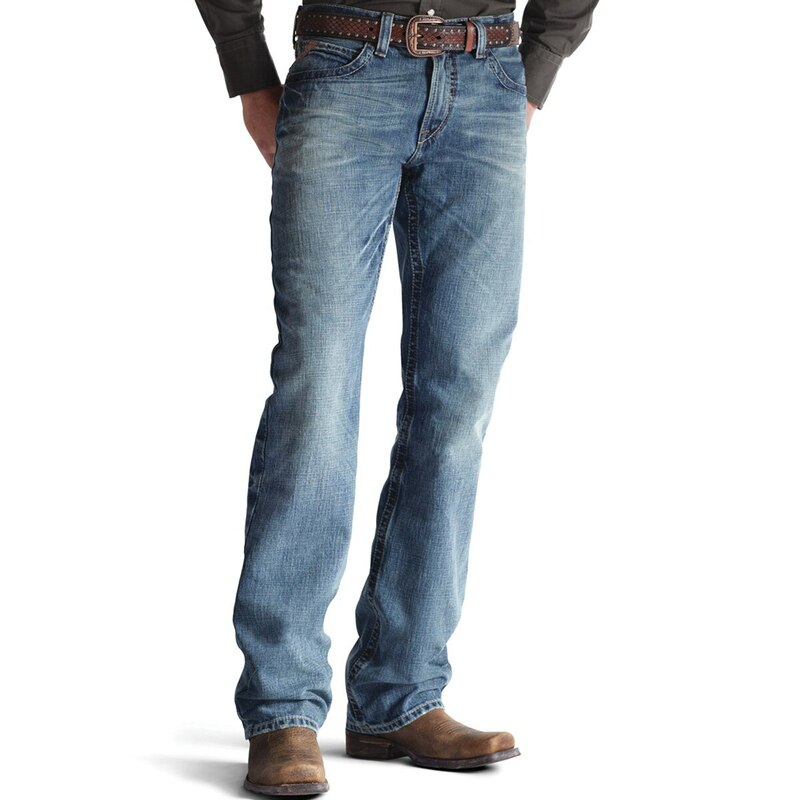 Ariat® Men's M4 Low Rise Boot Cut Scoundrel Jeans is rated 3.8 out of 5 by 4. Rated 2 out of 5 by JE806 from Don't last Bought 3 pairs of these. Love how they fit but all 3 pair within less than 2 months have holes in the legs are the knee area. Rated 3 out of 5 by JORDANLO from Ripped out Jeans ripped down egde of the pocket. Worn 10x maybe. Loved the fitment and comfort but hating paying the price for them just to rip out. Rated 5 out of 5 by pd12 from Beyond Comfortable Bought these about a month ago and are hands down the most comfortable pair of jeans I have. Great modern look to them with western features. Had to return 34s for 32s as the sizes run a bit bigger than other jeans.